The official diaper of experienced moms, Luvs is offering big savings in this Sunday’s paper. Get your scissors out because there will be a high-value coupon offering $2 of any one diaper pack. 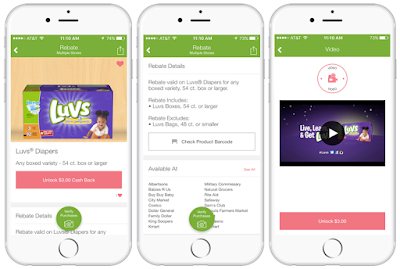 Additionally, in partnership with Ibotta, Luvs is also offering a limited-time $3 rebate on any boxed variety of Luvs diapers, 54ct. box or larger. With large stretch tabs, ultra-leakage protection, a money-back guarantee and multiple high-value coupon offers, Luvs with NightLock provides high-quality features for less cost than premium brands. Keep an eye out for this Sunday’s newspaper (May 29, 2016) for an insert from P&G with a Luvs coupon offering $2 of any one diaper pack. Use this coupon at any mass, discount or grocery stores where Luvs Diapers are sold. Go shopping for your Luvs diapers at any participating store. Verify your purchases by scanning product barcodes and submitting a photo of your receipt. Save money and earn cash back! Your $3 cash back rebate will be deposited into your Ibotta account within 48 hours. With large refastenable stretch tabs, fastening Luvs diapers is super easy for Mom, plus she can rest assured knowing that she’s giving baby a secure, snug fit again and again. With Leak Barrier Leg Gathers and a Leakguard Core, plus our largest absorbency area ever, Luvs makes life easier for busy Moms by helping to keep leaks in the diaper where they belong, so baby stays dry and comfortable. A contoured shape hugs baby for a great fit, and a cottony material feels soft and gentle on baby’s skin. The Luvs Money Back Guarantee: We feel so strongly that our diapers will keep your baby leak-free that we’ve guaranteed them! If you aren’t satisfied with the leakage protection of Luvs, we’ll refund your money. See our website, www.luvsdiapers.com, for details. 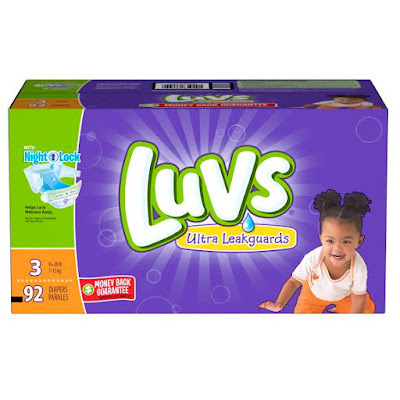 Luvs diapers are available in sizes newborn through 6, and can be found at mass, discount and grocery stores where baby care products are sold. Luvs is the official diaper of experienced parents. When parents choose Luvs over Huggies Snug & Dry, they get outstanding superior overnight protection that locks away wetness 2X better*, and they turn diapers into dollars by saving up to $150 per year**. For more information on Luvs diapers, visit www.luvsdiapers.com or the brand's social media channels on Facebook (https://www.facebook.com/luvsdiapers), Twitter (https://www.twitter.com/luvs) and YouTube (https://www.youtube.com/luvsdiapers). Q: What Luvs diapers are included in the newspaper coupon offer? All Luvs Diapers are included in this particular offer, except trial/travel sized diaper packs. Q: Where can I shop to claim the newspaper coupon offer? How long will this offer last? The coupon insert in the Sunday, May 29th, newspaper can be used at mass, discount and grocery stores where Luvs diapers are sold. The expiration date is 6/25/16. Q: What Luvs diapers are included in the Ibotta rebate offer? This rebate only includes Luvs Boxes, 54 ct. or larger. The rebate excludes Luvs Bags, 48 ct. or smaller. Q: I am having troubles with the Ibotta app. What should I do? Please visit the Help Center found in the app or visit https://ibotta.desk.com/ for further assistance with the application. For any general Luvs Diaper questions, consumers can call 888-NO-LEAKS or visit www.luvsdiapers.com. Q: Where can I shop to claim the Ibotta offer? 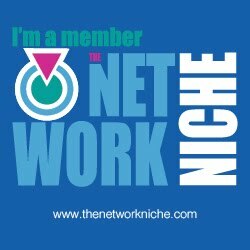 There are over 193 supporting stores at over 500,000 locations. 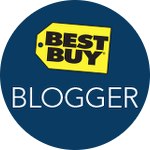 Visit https://ibotta.com/where/receipt-photo for a list of supported retailers. Q: How long will the Ibotta offer last? This is a limited-time offer. Once you unlock the rebate, you can see the exact date of the rebate expiration. In order to qualify for the rebate, you must submit your receipt before the rebate expiration. I would keep it to buy groceries. I would keep this gift card but would use it on my grandsons to buy them new bathing suits and beach toys for our upcoming summer vacation. I would buy my sister some diapers and wipes and baby clothes for her new baby that will be born in July! If I won, I would keep it to use on one of our date nights. I would keep it to get my grandson some Summer clothes. I have a TON of pregnant friends right now. This would be an amazing baby shower gift! I would keep the gift card to purchase wipes and diapers for my baby. This would be used to buy summer clothing for my grandsons. I would keep it to use on my 14 month old! I would keep this and buy summer clothes for my kids. I would keep this because I am moving to a new condo and need a rug! I would keep it and stock up on wipes and toiletries for the family! I wold give this to my mom. Sorry, I didn't give a reason. I would give it to my mom because I want her to have some money to spend on herself. I would share part of it, two babies coming in July in my family. I would give this to my beautiful sister, thank you so much for this! I'd keep it, but I'd use part of it to take my sister out to dinner. She has a new baby and she could use a break! I would keep it to buy something nice. Not sure. There are family birthdays ahead. Would love to win. I'd use it to buy my best friend a birthday gift. I would use it for bills. I would keep it just long enough to spend it. Save it for Christmas gifts. I would keep it for textbooks! I would keep this to start buying summer clothes for my kids. I would spend it on my grandkids. I would use it to buy my daughter clothing. I would keep it to buy more diapers and wipes. I would gift it to my daughters classroom! I would keep it. I'm a mom of 5 & I always need things for the kids! This would help tremendously. If I get very lucky to win this amazing giveaway, I would definitely buy diapers for my twins. Thanks for the chance. Oh I would love to keep it and stock up on Luvs! I would keep it and use it on diapers. I've got 2 little ones in diapers right now so it would help a bunch. I would keep the $100 amex card. I live on a fixed income. I would use it to buy diapers for my youngest grand daughter and take the other grand kids out for ice cream. I would keep it and use it for family groceries. I would keep this and buy gas or groceries. I would keep this as I have lots of doctor bills to pay after cancer diagnosis.